Best Drum Heads - Buyer's Guide & Reviews | Zing! One of the most overlooked keys to creating a powerfully driven sound is the choice of drum heads. Many drummers stick with the ones that came with their drum kit. Big mistake. There is a whole world of aftermarket drum heads that you should be taking advantage of. So we’ve done all the research for you. In this article, we review the best drum heads available and help you decide which is the right one for you. Why Should I Get New Drumheads? 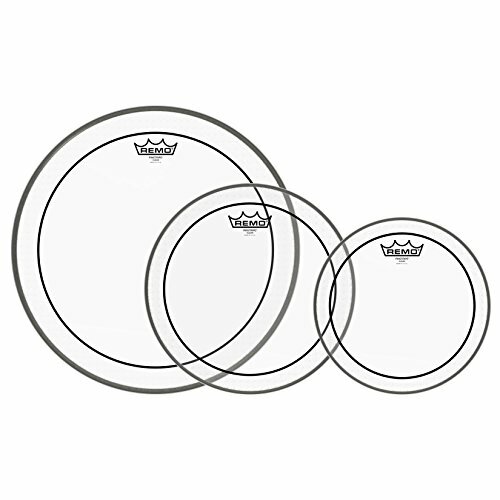 How Often Would I Need to Change My Drumheads? Drums are one of the most ancient instruments in the world, with the first primitive form crafted way back in the year 8000BC using a membrane stretched over a shell. The following generations of Sumerians and Babylonians then used animal skins secured over copper pots to create recreational and ceremonial drums. 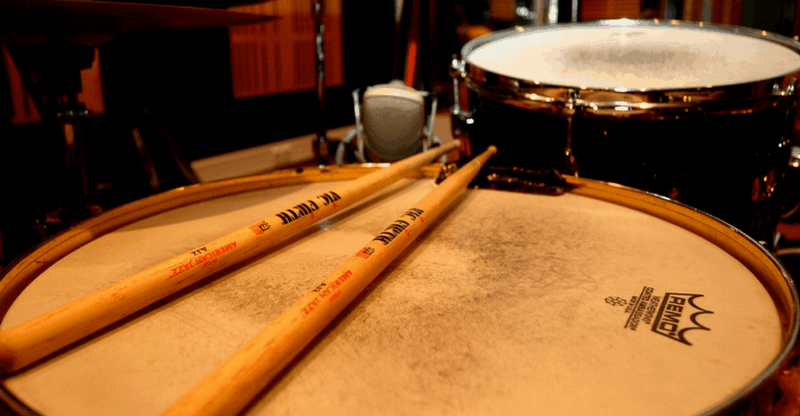 Nowadays, the sheer quantity and variety of music out there require drums to be made from something with a little more power and durability than deer hide. Especially considering animal pelt drums are prone to warping in extreme weather conditions and take a lot of time and skill to craft. The first artificial mylar drum skins became popular during the WW2 when snare drums became used during war marches and parades. Mylar is a form of polymer plastic, which can be manufactured quickly and withstand environmental forces well. So, for this reason, polymer skins remain the most popular choice of material to date. When your drum heads start sounding tired, flat or just plain worn out it’s definitely time for a set of new skins. But, saying that, even if you don’t need new heads, getting a different set can completely change your sound and inspire you to play new songs, so it can be a worthy choice either way. Just be aware that cheap kits often come with lower quality skins, which will struggle to stay in tune for long or survive a beating. But of course, a premium drum kit is going to cost a small fortune, so you may save some cash by simply upgrading your heads to get the tone you desire. Even the highest quality drumheads will eventually need replacing, but generally, a standard set will last through 3 or 4 months of fairly intense use before needing to be replaced. Resonant heads can last up to 9 months, however, it’s recommended you change them somewhere before this time to ensure the sound they produce is up to scratch and projects well. Drum heads are categorized by the thickness of the ply layer, the number of ply layers and the skin’s overall finish, all of which vary greatly between manufacturer. So, with all that diversity out there, make sure to try out what you want to buy in person if you can, or at least have a listen to audio samples online, before you go purchasing a new skin. Single ply drum heads are used in pretty much every style of music for their bright, crisp and highly responsive sound. As you’ve probably gathered, single ply skins consist of a single sheet of polymer between 7 – 10 mm thick. Saying that, you can find some single ply heads that are between 3-5 mm thick, but these are usually designed for use as snare skins. With this in mind, most artists and manufacturers opt for single ply skins for their resonance and punch, although they can’t stand as much of a beating. Medium weighted single ply skins, will give you much more sonic diversity when you tune your drum differently. If you’re interested in getting the single ply sound Remo’s Diplomat, Ambassador and Evans’ G1 are some well-known models available, that are worth checking out. Double ply skins consist of two sheets of material with each polymer being around 7mm thick. So, yes, they can take much more force than their single ply brothers! Tone-wise, double plies tend to produce a more meaty, focused sound, so are often used in rock and metal. 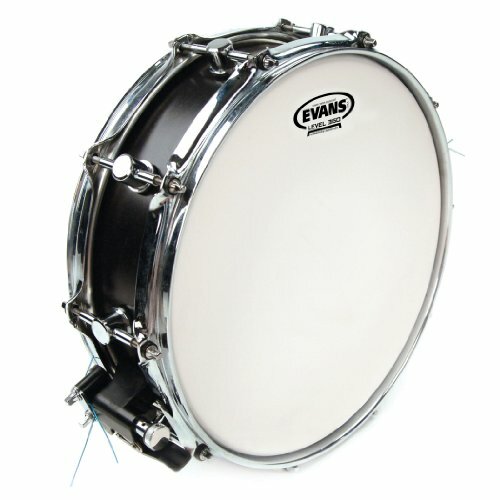 Evans’ G2 series and Remo’s Emperors, are some good examples of double-ply drum heads. Out of everything you need to consider when buying drum skins, above all, the most important aspect is the quality of sound they produce. Different skins can dramatically change the overall sonic experience from your kit. For example, some drum heads can lean towards brighter or warmer tones and can also determine the level of overtones in your mix. If you’re not an expert on drums, then the best way to find the tone that you want to go for is to research your favourite drummer. Try to find out what make of drum heads they use and then check out some YouTube reviews. After finding out what you want, try and test out the skins in a music shop to be sure they’re right for you. Just remember that different varieties of dampeners can limit your overtones, and the thickness and coating of the skin can also change the overall sound the drum kit produces. 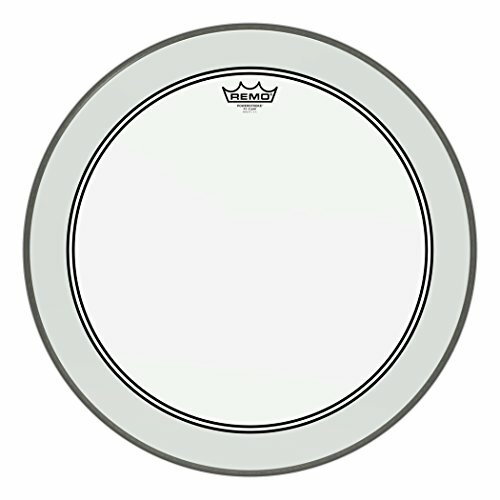 For example, some drum heads have a reverse dot in the centre, which reduces overtone production. 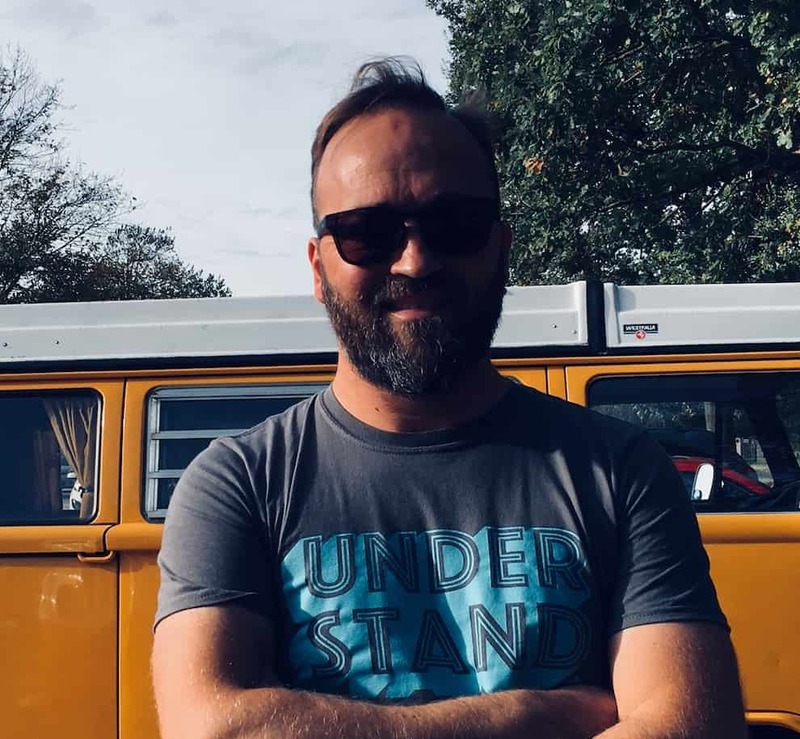 But are overtones a good or bad thing? The answer isn’t a simple yes or no. Too much overtone can make your drums sound a little lost and undefined, so it can be advantageous to minimize them slightly for a clearer tone. Overall, there’s no right or wrong choice, it depends on what sound you’re going for. The thickness and coat of a drum skin affect the way it vibrates to produce the sound wave that reaches our ears. In technical terms, the coating refers to the layer of polymer material on the ply surface, which isn’t always present. If your skins do have the extra finish, the head is said to be coated, if not it’s known as a clear skin. But how does this influence tone? Well, extra coatings dampen your drum sound, making them warmer and with less attack and punch in comparison to clear heads, which produce a brighter sound. The finish also influences which drum the skin actually fits on to eg: toms, snare or kick drum, so it’s really important that you take this into consideration before buying any old drum head. Clear heads have absolutely no coating whatsoever, so they project really well in comparison to coated versions. So, how does thickness influence your drum tone? Well, the layers that make up two-ply drums heads will vibrate against each other, thus reducing the sustain rapidly. Double ply skins are also thicker than a single version, which means the head vibrates at a lower frequency. This, in turn, leads to a low pitch being produced with fewer overtones coming into the mix. In the opposite way, single ply heads allow your drums to sustain for longer at a higher pitch, whilst producing more overtones. Some manufacturers even produce hydraulic heads, which are made up of two layers of ply with a layer of oil placed between both. These things make for a really heavy low end and are far easier to tune than the rest thanks to the oil acting as a lubricant. For this reason, hydraulic heads can be great for beginners as they are easier to set up and tune. If this sounds good to you, why not take a look a Remo’s Pinstripe series? These use a lubricating agent to help you tune your instrument! Pre-muffled heads are a great option for all you overtone lovers out there. But why are they called pre-muffled heads? Well, thanks to their muffling ring, which is built-in to the underside of the polymer material. Just be careful when using one of these things, as your tone can get pretty muddy, pretty quickly if you overuse them and getting the right mix may take some fine tuning. If you’re certain pre-muffled skins are what you need, check out Remo’s pre-muffled Powerstroke series or Evans’ “EC” series, both are pretty killer! The Emperor X Coated Snare Head by Remo is the most affordable skin we review in this article, but considering the price, you still get some pretty cool material and technology for your buck. We feel that the best aspect here has to be the drum head’s durability. This thing is made from two free-floating pieces of tough, 10mm coated Mylar film, which can take a battering. There’s also a built-in 5mm reverse black dot, which enables the head to produce warm, mid to low frequency tones, making it perfect for rock and heavy metal playing styles. The overall sound the Emperor X skins kick out is loud and powerful when you really go for it, but also capable of creating a light, ghostly punch when struck lightly. As well as this, there’s also way less overtone interference in comparison to other brands, so for these reasons, we these heads are a great option for use both in the studio and live. Saying that, seeing as the Emperor X is imported, it’ll need to be cleaned, waxed and tuned by the time it reaches your door. This means that the only downside here is that tuning may take some time, but with that in mind, one advantage of this model over the rest is that it can be tuned high, even up to a C, for that John Bonham style. So overall, we recommend this skin to anyone who hits hard in a heavy rock or metal band. With that in mind, Emperor X heads are really affordable too, so you won’t end up breaking the bank by buying some. Durable – The Emperor X can take a beating and will last for months. Versatile – This item works well in upper-middle to low-end tones. Needs a setup – After all that traveling, you’ll need to clean and wax this skin. Coating – The coating in the center tends to wear away after a couple of practices, this can reduce the quality of tone slightly. The G2 Standard Tompack by Evans is currently selling at a similar price to both the Aquarian and Remo drumhead sets we’re going to mention later, but what exactly do you get for the money here? 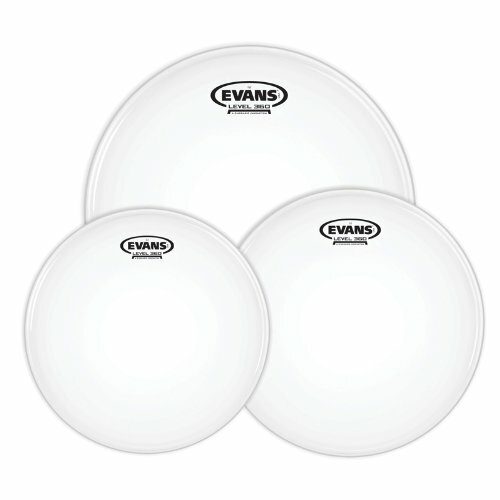 Well, Evans have included a set of 12”, 13” and 16” drum heads, all of which are made from two 7mm polymer sheets. So, in a similar way to the Emperor X skin we mentioned above, the two-ply design ensures these heads are very tough and will withstand hard hits no problem. A set of G2s will probably save you some money in the long run too, as you’re less likely to have to replace them as often as a set of single plies. But the best thing about these heads has to be the versatility of their application. They are coated with a layer of set liquid polymer, which means they produce a focused, warm sound with good depth. With that in mind, all this tone can be tailored to meet your specific taste, as the G2s can be tuned both low and high, whilst keeping the full resonance that every drummer loves. Versatility is also achieved here thanks to Evans’ 360 tuning technology, which means that their G2s have an optimised angled collar for easy assembly and tuning. Overall, we feel that this pack is best suited to drummers that like to play a variety of styles of music. Thanks to the 360 tuning system and the two-ply coated skins, you’ll be able to get fantastic sustain from both rack and floor toms alike, and you’ll be able to adjust them to exactly how you like your set up. Versatility – The unique 360 tuning system means adjusting the pitch of your drums will be easier than ever before. Tone – These G2s give you a nice, warmth and depth whilst retaining full resonance. A lot of sustain – These things ring out forever, which is nice but can becoming an interfering noise at times. Quality – Although Evans’ kit sounds good for the price, there are better quality versions out there which will last longer. Aquarian’s Super-kick Drumhead Pack is a couple of dollars cheaper than Evans’ set we just talked about, so what’s the difference here? Well, both manufacturers are offering 7mm two-ply skins however, the skins in the Super Kick II Pack feature something called Nu-Brite film, which makes for a fuller low end. There’s also a handy felt muffle ring, so there’ll be no extra dampening required. Overall, Aquarian have designed these things for low end and less interference, rather than versatility and sustain like Evans’ pack. In terms of tone, the Super Kick II pack is still pretty clear and focused, which works well at controlling that big, deep bass drum tone. We think that the best thing about these skins is the ‘Floating Muffling System’, which basically acts as a pre-dampener to allow the skins to produce a more natural sound. This saves you a lot of time and hassle stuffing blankets and pillows inside the drum cavity. Just be aware that these skins are really muted, so may not meet the specific tastes of some drumming styles. But, saying that, they seem to sound great in really heavy styles that need faster kick drum sections with little interference, like say death metal or thrash. For this reason, we believe Aquarian’s skins are best for metal artists that want a specific muffled sound without having to lug around their duvet. Patented ‘Muffling System’ – This gives your kick drum more control and reduces interference. Tone – The sound Aquarian’s skins produce is very deep and rich, considering the pretty affordable price. Lacks sustain – If you like your bass drum to ring out, this is not the skin for you. Not so durable – Unfortunately, if you play hard, these things can rip apart in a few weeks. The EMAD2 Bass Drum Head by Evans is the priciest skin we review in this article, in fact, it’s a fair chunk more dollar than the sets we’ve already mentioned, but we promise, for the price you really do get some fantastic technology. Evans’ design includes an EMAD system, which works in a similar way to the muffling system by Aquarian. However, unlike Aquarian’s technology, the EMAD system is fully adjustable, with a two-ring damping system, which means you get way more control over the attack and focus of the drum head. Choosing the thinner foam ring gives your bass drum extra power, focus and resonance, whilst the wider ring will increase the bass frequencies and attack of your kick drum. So of course, we think that the adjustable dampening technology is the best aspect of the EMAD 2, as it allows for much more tonal versatility than any of the models we mention here. The drum head itself is two-ply, with an outer sheet of 7mm polymer, and an inner 10mm version for extra durability. Just like Evan’s G2s we mentioned earlier, there’s, of course, the same Level 360 Technology included. This means the collar allows the bass drum head to be secured easily, and more easily tuned for a wider tonal range and maximum control. Overall, the technology here makes the EMAD 2 Bass Head best suited to drummers that really need to focus their tone. The EMAD dampening system along with the Level 360 tuning system means you’ll be able to recreate pretty much any bass drum sound you like. Just remember this is our premium choice, so it comes at a greater cost than all the other items we discuss. Fast tuning – Thanks to the Level 360 Technology here, tuning will never be a problem again. Versatile – The fully adjustable EMAD system means that you’ll be able to recreate a wide range of drum tones. Price – All this technology comes at a high cost. Heavily muted – Some drummers don’t like the muffled sound, so may be better off with something that sustains for longer. Out of all the drumhead packs we’ve mentioned so far, Remo’s Pinstripe Toms set is the costliest, but only by a few bucks. So, what exactly do you get for your dollar here? Well, these skins are made from a set of two-ply, 7mm polymer sheets, which feature a very rapid decay, making them great at recreating R&B and Pop tones. As well as this, these skins have a moderate attack and response, which is a bonus in that they work well in most styles of music that aren’t verging on the extreme. 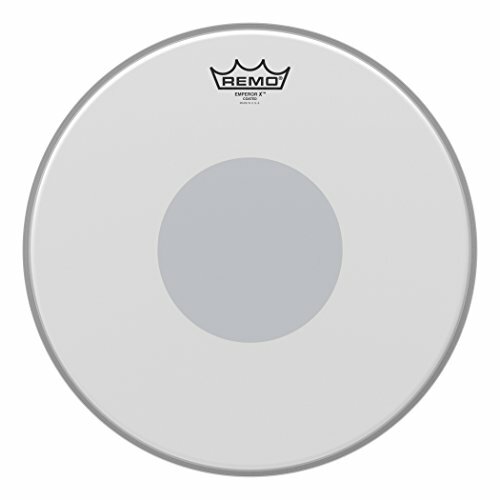 The best thing about Remo’s Pinstripe Toms is that they feature an overtone reducing agent between the 2 plies, which means the drums have that extra control, to ensure your sound remains clear focused. Skins without overtone control can often sound muddy and a little lost in the mix, so this is definitely an advantage. Having two plies also means that this set of skins is likely to last you a fair while and will handle being hit hard. So overall, we’d say Remo’s Pinstripe Toms head set is a great option for anyone wanting a durable set of skins to work with pop, funk and rap styles of music. Actually, saying that, their tonal diversity makes them a great place for beginners to start to explore the world of drums. For the price, you get a decent tone, that will work with different styles and loads of overtone control. Clear tone – The overtone reducing agent and rapid decay technology here really brightens up the overall sound these skins produce. Great allround skins – The sound these heads kick out suits most styles of music, as long as it’s not extreme, so would be a good place for a beginner drummer to start. Doesn’t metal – If you want to play heavier genres, these skins won’t provide enough bass and warmth for that style. Remo’s Powerstroke 3 is selling for a slightly cheaper price than our premium choice kick drum head by Evans, but what exactly is the difference? Well, first of all, the Powerstroke contains a single ply 10mm polymer sheet, with a 10mm inlay ring in its outer edge to dampen any unwanted overtones. So yes, we’d say the best aspect here has to be the Powerstroke’s tone control. But saying that, the sound this thing kicks out is really nice too. The single ply polymer has been specifically chosen to produce really focused mid-range and low frequencies, with a well-defined attack. In comparison to Evans’ model however, this thing doesn’t have the convenient tuning technology or the two-ply build for extra durability, so just be careful not to hit this head too hard! The Powerstroke P3, however, is capable of reaching a higher frequency range than the EMAD2 skins, which are slightly deeper and meatier. Just remember, there’s no right or wrong choice when it comes to your tone, rather it depends on what music style you’re going to be playing. Overall, this head would be a great option for those of you shopping on a budget and wanting to play blues or classic rock. Just remember, the Powerstroke P3 is probably not going to work well with very down-tuned heavy metal or drone doom as it’s built for more mid-range tones. Powerful Attack – The single ply sheet is very responsive and packs a punch. Dampener – The Powerstroke P3 has a built-in inlay that reduces the interference from overtones. Not much depth – Yes, this thing can do low, but it can’t do really low for more extreme styles of music. Not so durable – Even though the single ply sheet used here is pretty thick, it’s still not as durable as a two-ply option. 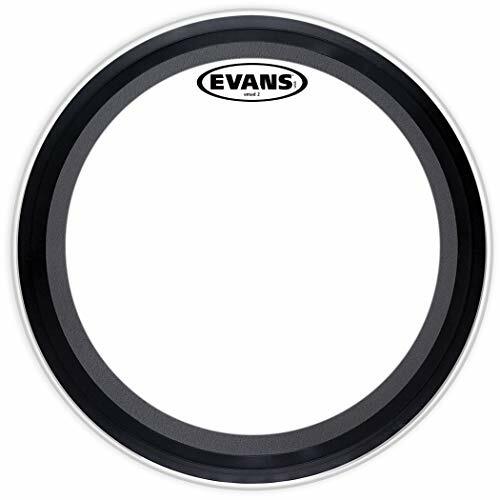 The Reverse Dot Drum Head by Evans is the second most affordable item we take a look at in this article and for the low price, you still get some really cool features. We think that the best aspect here really has to be the power centre patch, which offers a touch of extra durability and focus to the 10mm single ply sheet. The power centre contains unique notches in its diameter, which allows the skin to flex by keeping the head open at the edges. The power centre can even be reversed, to make room for brushes, handy eh? Of course, being made by Evans, this drum head comes with that convenient 360 tuning technology. This is basically an enhanced collar design that ensures the skin fits onto the drum body easily by extending the playing surface evenly, 360 degrees around the drum. So, you’ll be set up and ready to play in no time at all! One thing to remember is that this skin is single ply, so it’s not going to take as much force for as long as a two-ply design. But saying that, the tone it produces thanks to the polymer used is great. This thing is super responsive and kicks out a snappy pop, with plenty of sustain. So, it definitely cuts through a mix well enough to be heard. We think the Reverse Dot Drum Head by Evans will be a great choice for anyone looking for a super responsive snare skin on a budget. You really can’t go wrong here, this thing will pierce through your band’s mix without breaking a sweat and you’ll be able to tune it in a matter of seconds. Easy to tune – The 360 tuning technology Evans have thought up means you’ll have this skin tuned up in no time. Cuts through a mix – This thing is loud and has plenty of bite, so it’ll definitely cut through your mix no problem. Not so durable – Because it’s only single ply, this skin won’t last as long as a two-ply version. Extremely resonant – Because Evans have included the reverse dot technology, this skin can end up sounding a little hollow at times and may need a touch of dampening. Now that we reach the end of this article, we hope you’ve enjoyed the read and feel like you’ve learned something new about drum skins. The main point we’d like to make is that there’s no completely correct choice when it comes to deciding which is best. It ultimately depends on what you want to play and which design works for you. With that in mind, if you’re shopping on a budget then Remo’s Emperor Snare Head may be a wise choice, this skin is very affordable and is two-ply, so will take a beating. If you’re a complete novice and not entirely sure what sound you want to go for, then Remo’s Pinstripe set is a great option. These are very good allrounders and versatile enough to play different styles of pop, hip-hop and rock. Saying that, Evans’ GR2s are also very versatile but made for slightly heavier styles, so they might be worth exploring too if you’re interested in metal and classic rock. 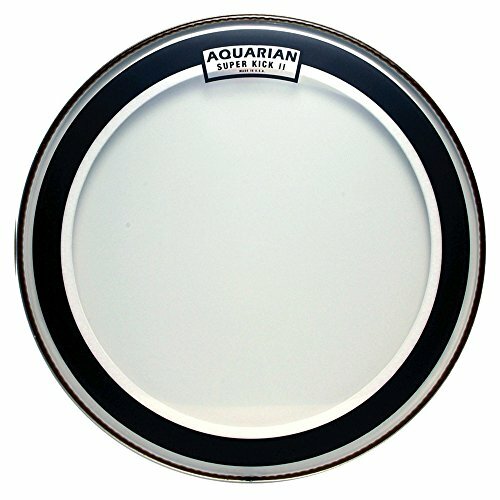 However, the ultimate heavy metal skins we’ve looked at today have to be Aquarian’s Superkick bass drumheads. These bad boys produce a really booming, deep rich tone and are two-ply, so will last for ages. If the bright punch of single ply skins is more your thing, why not go for Remo’s Powerstroke 3 or Evans’ Reverse Dot Heads, both produce well-defined mid-range tones with plenty of attack. Finally, if you’re looking to spend the extra bit of cash for the best that money can buy, then go for Evans’ EMAD 2 Bass head. This thing packs some serious technology that allows you to adjust the skin’s damping and tuning to exactly how you like it, and it sounds beastly!